This issue of the G20 Monitor examines the topic of development and the G20. In line with the coverage of G20 agenda items in previous issues of the Monitor, the focus is on where the G20 can add value. Overview: What should the G20’s development priorities be? Should the G20 be addressing global poverty and development? What value can the G20 add on development under the Australian G20 presidency? Development is a key component of the G20, but there are concerns over the effectiveness of the current development agenda. The criticism includes that the development agenda is too diffuse and mostly distant to the G20’s main activities. But the G20 development agenda has made progress in some important areas, including increasing the resources of the international financial institutions, infrastructure, food security, financial inclusion and reducing the cost of remittances. However development and global economic issues cannot be treated in isolation; development must be ‘mainstreamed’ and clearly seen as part of the G20’s core agenda. To the extent that Australia can help strengthen the G20 when it assumes the chair in 2014, and make tangible progress in such areas as - economic growth, financial regulation, trade, financial inclusion, infrastructure and climate change financing – it can make a significant contribution to promoting development and reducing poverty. This issue of the Monitor covers the topic of development and the G20. It contains papers from Robin Davies, Susan Harris Rimmer, Annmaree O’Keeffe, Sabina Curatolo and Steve Price-Thomas, and Julia Newton-Howes and Michelle Lettie. Why is development on the G20 agenda? There is a view that development was added to the G20 agenda by Korea at the Seoul Summit in 2010 with the release of the ‘Seoul Development Consensus’. For example, Barry Carin has questioned why Korea took such an initiative, and whether development merits a place on the G20 agenda. As Carin observes, the G20 should add an issue to its agenda if it represents a vexing problem with major implications for all its members; if the issue is unlikely to be resolved elsewhere; if there is a clear role for the G20; and if there is a probable prospect of positive outcomes that will enhance the G20’s credibility. Applying such rigorous criteria, Carin questions whether Korea should have ‘added’ development to the G20 agenda. However, Annmaree O’Keeffe argues that the genesis of the G20 development agenda can be traced back prior to the Seoul Summit to the start of the leaders’ process in 2008. The G20 was established in 1999 as a finance ministers and central bank governors’ forum and involved major advanced and emerging markets. But O’Keeffe notes that those emerging markets participating in the G20 were still developing countries attuned to the binding constraints within the international architecture that hindered development in poorer countries. She argues that aid and development have therefore been on the G20 agenda for over a decade, in line with the second part of the G20’s original mandate to promote stable and sustainable world economic growth that benefits all. The communiqué from the London Summit in 2009 contains many references as to how the issues being addressed by the G20 could support developing countries, with leaders reaffirming the importance of meeting the MDGs, ODA pledges, debt relief and the Gleneagles (G8) commitments. At the Pittsburgh Summit in 2009, G20 leaders requested the World Bank advise ‘on progress in promoting development and poverty reduction as part of rebalancing global growth’. At the Toronto Summit in 2010, leaders stated that ‘narrowing the development gap and reducing poverty are integral to our broader objective of achieving strong, sustainable and balanced growth’. The Development Working Group (DWG) was also established and charged with devising a development agenda for the next summit. As noted, development was spotlighted at the Seoul Summit in 2010 with G20 leaders agreeing to a nine-pillar, Multi-Year Action Plan (MYAP) on development. The pillars were: infrastructure, human resource development, trade, private investment and job creation, food security, growth with resilience, financial inclusion, domestic resource mobilisation and knowledge sharing. A common element in the papers in this Monitor is a critical assessment of the G20’s performance to date on development issues. Robin Davies states that the G20 development agenda appears ‘invertebrate, flabby and toothless.’ He notes that even sympathetic observers describe it as ‘diffuse, lacking a coherent narrative and disconnected from the central concerns of G20 leaders and finance ministers.’ Steve Price-Thomas and Sabina Curatolo observe that while the G20 has set itself an ambitious agenda, so far the G20’s actions have failed to match its ambitions and the Seoul Development Consensus has not succeeded in overcoming the biggest obstacles that confront developing countries. Julia Newton-Howes and Michelle Lettie point out that the current development agenda of the G20 is at risk of being an ‘add-on’ with limited value. Furthermore, much of the work program outlined at the Seoul Summit was already being taken forward in other organisations. Susan Harris Rimmer also expresses a number of concerns over progress on the development agenda in the G20, noting that the MYAP is ‘fractured, diffuse, mostly divorced from the overall G20 framework, peripheral to leaders’ declarations, badly communicated to civil society and often opaque to external scrutiny’. O’Keeffe observes that while the MYAP is an ambitious and extensive framework, there are many doubts about the overall feasibility of the plan and its implementation faces many hindrances. Such criticism is not unique. Homi Kharas and Dominico Lombardi concluded that the G20 development agenda is too broad. They also posit that the nine pillars of the Seoul Consensus are disconnected and can generate unstructured and unproductive discussions that undercut the very premise of the G20, namely an informal forum for a focused and sustained conversation. Andrew Elek argues that while G20 leaders adopted guiding principles for cooperation to deal with systemic issues as part of the Seoul consensus, the development agenda designed by the DWG was not consistent with those principles. Russian officials, when discussing progress under their G20 presidency, have stated ‘it is no secret that certain critical remarks have been voiced by both [the] G20 itself and a number of other countries and organisations, including civil society organisations, aimed at the Development Working Group’s activities’. Notwithstanding these criticisms, O’Keeffe notes that there has been progress on some issues on the G20 development agenda. Notable achievements identified by O’Keeffe include: the reforms and increased resources for international financial institutions; the work of the High Level Panel on Infrastructure Investment; progress in enhancing food security; and work on reducing the cost of remittances. Davies says that the creation of the AgResults initiative was a worthwhile and proper thing to do, and the establishment of the Global Partnership on Financial Inclusion was a solid achievement. Development agenda: what is the G20’s role? Much of the criticism over the G20’s progress in advancing its development agenda raises issues that go to the inherent structure and role of the G20. Harris Rimmer and O’Keeffe highlight the legitimacy problem facing the G20. O’Keeffe points out that while the G20 members account for around 85 per cent of global output, 173 countries are not represented, many of them being developing countries and the intended beneficiaries of the development agenda. Davies argues that the structure of the G20 is such that its work is episodic, informal, member-led and involves a high level of delegation to international organisations. But it has no establishing treaty, formal mandate or ability to take decisions that bind its members or other entities. O’Keeffe refers to the challenge of being a rotating chair with only a short timeframe for undertaking a multiplicity of actions in a complex and intricately connected global economic system. In short, its architecture does not fit well with the long term and systemic issues it needs to address to support development. Moreover, the G20 is not an aid or implementing agency. Davies suggests that given the characteristics of the G20, its activities should be directed towards: encouraging cooperation between international organisations; coordinating domestic and external policies of member countries; extending knowledge and practice to non-members; supporting innovation; and blessing others ‘offerings’. O’Keeffe notes that the major challenge facing the G20 is to determine how its contribution can be effective and not duplicate, or - even worse - counter, the efforts of international bodies. Building on this theme, one of the great strengths of the G20 is its political influence. It may not be an implementing agency, but it can influence and encourage a revision of the international architecture. Newton-Howes and Lettie note that rather than developing a development agenda that duplicates those of other existing organisations, the G20 should add value by bringing together development ministers to critique the G20’s core work on the global economy and financial regulation. developing an accountability mechanism to assess progress on previous G20 commitments. Carin has observed, however, that as most of the priority areas identified by Russia are outside the DWG’s purview, it is seemingly restricted to being a ‘harmless discussion forum attempting to reach a common understanding about good practices’. This is labelled ‘busy work’ by Davies. What should be the G20’s development priorities? While there is a considerable degree of criticism of the G20s performance on development issues, there is no strong consensus on a particular area where the G20 can add value. Nevertheless, there are high expectations as to what Australia will achieve as G20 chair. For example, Price-Thomas and Curatolo argue that ‘under the Australian Presidency of the G20, Australia can make historic progress in bringing shared and sustainable growth to the poorest by ensuring poor countries benefit from sustainable growth, and by securing a renewed commitment to development from the G20’. Among the specific areas identified by Harris Rimmer as priorities for the G20’s development agenda are ‘beyond aid’ matters such as trade facilitation, labour mobility, gender equity, climate finance, migration and technology. Price-Thomas and Curatolo propose that the Australian presidency of the G20 should commit to systematically measure and reduce inequality, including by addressing the root causes and consequences of food price volatility, taking action to increase food security, and dealing with tax avoidance and tax evasion. Davies proposes that the G20’s development agenda should address problems of particular relevance to developing countries that are of systemic significance, and where the mitigation or elimination of those problems requires collective action. Applying his framework, Davies believes infrastructure investment would remain a priority in the G20 development agenda, although work on food security would decrease in prominence relative to a corresponding general increase in social security. International financing for development, covering such matters as the future of the concessional lending arms of the World Bank and Asian Development Bank (ADB) along with the financing of climate change in developing countries, would be another priority. The post-2015 development agenda is also considered to be an inevitable and legitimate topic for G20 discussion, although according to Davies, ‘aid effectiveness’ should find no place on the G20 agenda. O’Keeffe notes that the G20 can make a strong contribution to development by using its inherent powers of influence, but it should identify a focused set of tasks, stripping the MYAP to a tight, strategic set of priorities, whose outcomes can be reinforced by policy directions set in the broader G20 agenda. She also points out that a priority in the medium-term will be how the G20 can support and underpin decisions about the post-2015 development agenda. Newton-Howes and Lettie focus on one area of the G20 development agenda, namely financial inclusion. Highlighting a point emphasised by Harris Rimmer about the need for the G20 to focus more on gender equity, Newton-Howes and Lettie observe that, of the third of the world’s population that is excluded from the formal financial system, women are disproportionately represented. They note that while action is needed across a gamut of issues, if the G20 is to deliver on its commitment to a ‘more robust and resilient economy for all’, they should focus on financial inclusion. Specifically, they advocate countries adopting financial inclusion strategies should include a commitment to, and measures around, access to informal financial services, and build linkages between formal and informal services. In addition, they argue that further investment is needed in new partnership models for financial inclusion, and to scale up innovative models that are already proving effective. Carin challenges Russia, as chair of the G20 this year, and Australia as chair in 2014, to implement the statement made by the DWG in 2011 that ‘development issues and global economic issues can no longer be treated in isolation’ and to ‘mainstream’ development on the G20 agenda. In a similar vein, Harris Rimmer has observed that the G20 should not see development as a side-project, but as part of its core activities and should be asking ‘what are the development consequences of the G20’s focus on such matters as macroeconomic policy coordination and financial regulation?’ Harris Rimmer specifically calls for a development pillar to be added to the G20’s mutual assessment framework. Newton-Howes and Lettie state that by integrating consideration of poverty and inequality within the core work of the G20, the group will be more likely to deliver on its commitment to ‘shared and inclusive growth’. Development is a priority for the G20. At the most basic level, G20 members must be concerned not only with their own economic prospects, but also with the implications of their policies on non-G20 members, particularly low-income countries. Moreover, the advancement of developing countries should be an important focal point in the quest for strong and sustainable global growth. And it is a two way process. As noted in the World Bank’s report to the 2010 Toronto Summit, the most important thing that G20 members could do for development is to restore strong growth in their economies. O’Keeffe provides sound, general advice when she recommends that the G20’s development actions be pared to a short-list of priorities, with the guiding principles being ‘efficiency’ and ‘effectiveness’. Such advice should apply to all aspects of the G20 agenda. But development has to be clearly ‘mainstreamed’ into the G20 agenda. This is where Australia can play a role as chair of the forum in 2014. If Australia can help the G20 make tangible progress on issues such as economic growth, financial regulation, trade, financial inclusion, infrastructure, and climate change financing this will itself be a significant contribution to promoting development and reducing poverty. The G20’s development agenda, as constructed in 2010, has not held together well. While some good outcomes have been achieved, there has been too much ‘busy work’. The G20 needs to build a firmer foundation and a more coherent narrative for its work on global development. The ‘G20 Development Principles’ articulated at the Seoul summit, and subsequently ignored, provide a good starting point. The G20 should contribute to the provision of certain global public goods that are important for development. It should do so, primarily, by stimulating or strengthening collective action by international organisations, particularly the international financial institutions. Where necessary it should also pursue its objectives through collective action by G20 members themselves. Its work on development should be more directly linked to the core concerns of G20 leaders, relating to global economic stability and prosperity. It should proceed with greater transparency and outreach to low-income countries, particularly the most vulnerable among them. This work should be concentrated in three domains: growth and employment; social security; and - a largely new area - international public financing for development. Food security, while remaining important, should be considered in the wider context of social security. To the unsympathetic observer, the G20’s development agenda, at its present stage of evolution, appears invertebrate, flabby and toothless. Even the sympathetic regularly describe it as diffuse, lacking a coherent narrative and disconnected from the central concerns of G20 leaders and finance ministers. The G20’s nine-pillar, Multi-Year Action Plan on development, agreed at the Seoul summit in 2010, expires this year. It is due to be replaced in September 2013 by the ‘St Petersburg Development Action Plan.’ Russia, like preceding hosts Mexico and France, has sought to ‘streamline’ the Seoul agenda by grouping topics and favouring a selection of them rather than by removing any on a principled basis. And, like the two preceding hosts, Russia has also expanded it. capitalising on the presence within the G20 of development exemplars, like Korea and the major emerging economies, to promote knowledge-sharing for the benefit of low-income countries. Such principles are implicit, for example, in Dirk Willem te Velde’s specification of the G20’s central ‘functions’ with respect to international development. However, broad principles like these do not exclude much, nor completely account for the presence of some arguably worthwhile items on the present agenda. Nor do they give sufficient prominence to the centrality and symbiotic nature of the relationship between the G20 and international organisations. In short, up to this point the G20’s narrative on development has lacked a compelling plot. The present paper is therefore a rough exercise in script-doctoring, intended to supply at least the rudiments of one. After some scene-setting, it gives the outline of a logical framework for the G20’s work in this area – one that has the potential to both aid communication and to guide decisions on what to do. It then partially applies that framework, highlighting some gaps and distortions of emphasis in the current program of work. The G20’s engagement in development began not in Seoul, but at the G20’s conception. It is worth recalling that the G20 was created in 1999, as a finance ministers’ forum, in response to the Asian financial crisis. In announcing its formation the founding chair, Canada’s then finance minister Paul Martin, said the G20’s work ‘will focus on translating the benefits of globalisation into higher incomes and better opportunities everywhere.’ Its first communiqué, issued in Berlin, said part of its purpose was to ‘promote co-operation to achieve stable and sustainable world economic growth that benefits all.’ It regularly passed comment on development-related matters in the following decade. Later the same year, in Pittsburgh, leaders announced several steps to ‘reduce the development gap.’ Specifically, in order to ‘increase access to food, fuel and finance,’ they formed a working group on financial inclusion, called on the World Bank to develop a food security trust fund, which later became the Global Agriculture and Food Security Program, and made passing reference to the Scaling Up Renewable Energy Program, another World Bank trust fund which had been recently established as one of the Climate Investment Funds. They also endorsed the UN’s Global Impact and Vulnerability Alert System, called for at the London summit and later rebadged as the Global Pulse initiative, as a mechanism for real-time monitoring of crisis impacts on the most vulnerable. In addition, in launching the Framework for Strong, Sustainable and Balanced Growth (the Framework) in Pittsburgh, leaders asked the World Bank to advise them on ‘progress in promoting development and poverty reduction as part of the rebalancing of global growth.’ The World Bank has to date produced four reports in response to that request, the most recent of which was issued prior to the Los Cabos Summit in June 2012. So, up to the point of the Toronto summit in June 2010, the G20 had already established itself as a body centrally concerned about the adverse effects of global economic instability on low-income countries. It recognised the potential for positive international spillovers – both from G20 countries to low-income countries and vice versa – to be achieved through national policies that stabilise financial and commodity markets and promote growth, employment and social security. And it had established, supported or endorsed several multilateral initiatives aimed specifically at achieving positive impacts on development in low-income countries. Toronto, however, was a turning point. Leaders signalled that they would move for the first time to a broader and more systematic consideration of how the G20 could, through direct action, achieve positive impacts on development in low-income countries. This new line of broad-based and direct action, subsequently fleshed out as a signature initiative of the Korean presidency, is what is normally referred to as ‘the G20 development agenda,’ notwithstanding the G20’s wider and pre-existing development concerns. While it might be tempting to view this new line of business as a second development track, with the first track encompassing the development-related aspects of the Framework and its related Mutual Assessment Process, it was certainly not intended as such. As is clear from the preamble of the Seoul Development Consensus for Shared Growth, the intention was to deepen rather than bifurcate the development agenda: ‘[the] Framework was born of a recognition that for the world to enjoy continuing levels of prosperity it must find new drivers of aggregate demand and more enduring sources of global growth.’ The Seoul development agenda reflected the view that promoting growth and development in the developing world was part and parcel of supporting global recovery – that the G20 needed, and did not merely have a moral obligation to promote, greater prosperity in low-income countries. The Seoul agenda is therefore best viewed, not as an excursion into the field of development assistance, but as the obverse of the G20’s crisis response actions in favour of low-income countries – the prevention and preparedness face of the coin, as opposed to the response face. It is also worth noting that the framing of the Seoul agenda strongly reflected Korea’s ‘bootstrapping’ perspective on development, according to which progress is best achieved by supporting sovereign initiatives to build context-specific drivers of growth, particularly through knowledge-sharing. Perhaps for this reason there was initially no implication that the Seoul development agenda would be prosecuted primarily by international financial institutions and other international development organisations, as it has in fact come to be. focused on issues of systemic significance at a global or regional level, which require collective and coordinated action. outcome-oriented, and subject to an accountability framework. A reasonable caricature of these principles, taken together, contains three ‘shan’ts’: We shan’t deal with things that are already explicit in the Millennium Development Goals, nor trespass on pre-existing multilateral domains, nor conduct ourselves as the G8 habitually does in its dealings with developing countries. The above principles, agreed before the Multi-Year Action-Plan, were very much honoured in the breach. The extremely Catholic action plan adopted in Seoul contains nine-pillars or topic areas: infrastructure, food security, growth with resilience (covering, in practice, social protection and remittances), financial inclusion, domestic resource mobilisation, trade, private investment and job creation, human resource development and knowledge sharing. While it can be argued that all these pillars are important from a growth perspective, at least at the national level, it is much harder to argue that all relate to matters of systemic significance. It is also very difficult to see how many of them, as defined in the action plan, respect the process-related principles requiring complementarity, partnership and an orientation toward concrete outcomes. Obviously these points were not lost on those who negotiated the action plan. However, each topic area had at least a few enthusiasts, who assumed that areas of lower priority to them, or areas in which good progress was not demonstrated, would soon wither away. In practice, no pillar consented to wither. However, infrastructure, food security and financial inclusion have been the principal areas of effort to date. The French presidency gave explicit priority to the former two areas in 2011, and added innovative financing. The Development Working Group’s report to the Cannes summit grouped pillars into two categories: those promoting growth, and those fostering resilience. The Mexican presidency gave priority to food security, infrastructure and financial inclusion in 2012, and added ‘inclusive green growth.’ The Development Working Group’s report to the Los Cabos summit highlighted inclusive green growth, infrastructure and food security as ‘key challenges’, and grouped other topics together as prior commitments. The Russian presidency is giving emphasis to four of the Seoul pillars in 2013 – infrastructure, food security, financial inclusion and human resource development – and has added the post-2015 global development framework. Russia also wants to deliver the accountability framework envisaged in the Seoul principles. Thus, several more areas of work have now been added to the nine agreed in Seoul. Perhaps it would not matter that the G20 is grappling with a dozen different development priorities if some strong results had being achieved, or at least valiant efforts made. There are in fact some creditable results and honourable failures. One can argue that the creation of the AgResults initiative was a worthwhile and proper thing for the G20 to do. The adoption of what was formerly a G8 target to reduce, by 2014, migrants’ international remittance costs to an average of five per cent of the amount transferred was both positive in itself and set a good precedent for target-setting in other areas. The formation of the Global Partnership on Financial Inclusion, whose work is important, if technical, was a solid achievement. The commissioning of work on a pilot regional emergency food reserve in West Africa falls into the honourable failure category (the ECOWAS ultimately resisted G20 intervention but are reportedly proceeding with their own pilot). The Agricultural Market Information System, through its secretariat, might play a valuable role in limiting the extent to which countries resort to food export bans when food price spikes occur. And the multilateral development banks’ Infrastructure Action Plan is currently hovering between success and honourable failure, given limited follow-up. However, there is every sign that, within most of the Seoul pillars, most of the work has been ‘busy work’. The Los Cabos communiqué is baffling on inclusive green growth, which looks like an empty add-on. Knowledge-sharing ‘platforms,’ best-practice ‘toolkits’, databases and gateways – all products in lieu of outcomes – abound and ramify. On one topic, for example, the Development Working Group’s Los Cabos report requests a group of international organisations to prepare ‘an umbrella toolkit, taking into account available toolkits’. There are very good reasons for resisting the establishment of a secretariat, working informally and occasionally forcing strange multilateral bedfellows upon one another. However, it is not wise in such circumstances to pursue a dozen different priorities or omit articulating any clear basis for one’s selection of priorities. As a first step toward thinking about how to make the G20’s work on development more targeted, coherent and effective, it is useful to reflect briefly on what the G20 is and how it works, and therefore how – and by what ‘modes of action’ – it can reasonably be expected to add value to existing development-related processes. The G20, if one includes the countries represented by the EU chair, incorporates essentially all sovereign sources of international finance, most of the voting power in international financial institutions and, as active participants but not members, some significant low-income country voices, representing regional groupings. Its manner of work is episodic, informal, member-led and involves a high level of delegation to international organisations. It has no establishing treaty, formal mandate or ability to take decisions that bind its members or other entities. In short, it combines weight with agility; informal power with legal impotence. Blessing others’ offerings – in some cases, the G20 can simply use its weight and profile to impart additional momentum to initiatives over which it claims no particular ownership. This involves no cost and little accountability, but some reputational risk. In light of the above, it seems clear that the G20’s development agenda should address problems of particular relevance to developing countries that are of systemic significance, where the mitigation or elimination of those problems requires collective action by international organisations or G20 members themselves. This is, so far, essentially a restatement of the core elements of the Seoul development principles with the addition of a stronger emphasis on the role of international organisations. However, it is not yet quite serviceable for practical use. It was by no means clear what was intended by ‘systemic’ in the Seoul principles. The meaning of this term, like that of its cousin ‘transformational’, is quite hard to pin down. One important aspect of its intended meaning is, however, clear: a systemically significant problem is one that has the potential to cause, or amplify the impact of, a regional- or global-scale economic crisis, or else it is one whose solution might help to avert, or mitigate the impact of, such a crisis. The emphasis on systemic problems was intended to signal a concern with macro-scale spillover effects. A reasonable and more general way of giving the term ‘systemic’ a specific and relevant gloss is to say the following: a problem is of systemic significance if it has the potential to lead to destabilising macro-scale impacts, such that the prevention, mitigation or elimination of it can be considered a global public good. In other words, the solution of a systemic problem yields benefits that are available to all countries without discrimination or limitation. In many cases, it should be noted, these benefits will not be delivered all at once, but will accrue incrementally in proportion to the efforts of many individual actors. Climate change mitigation is one such case. Thus the general suggestion is that G20 action on development, whether pursued through collective action on the part of international organisations or on the part of G20 members, should aim to achieve crisis prevention and impact mitigation through the provision of certain global public goods, with the qualification that the relevant vectors of impact are international finance and trade. The latter qualification reflects the genesis and strengths of the G20, and would rule out G20 action on, for example, pandemics. It can be argued that the G20’s more successful development efforts to date all involve the provision of global public goods, of several different kinds. coordinated or joint extension work with non-members. It should be noted that intra-G20 collective action will rarely enrol the entire membership, for various reasons, and will always be complex to coordinate. It should therefore only be contemplated in cases where international organisations cannot or will not take the lead. Triangular cooperation, for example, imposes high transaction costs on all parties; technical assistance through a multilateral organisation will be preferable where available. Likewise, the design and establishment of innovative financing mechanisms such as AgResults is not easily achieved by coalitions of bilateral donors. This caution about intra-G20 collective action implies a sequenced decision process according to which a problem is first weighed for systemic significance and is then, provided it passes that test, considered for multilateral and intra-G20 action, in that order. The decision process just outlined would have the effect of sorting possible agenda items into three groups. In the first group are matters on which progress is likely to be made as a result of international organisations’ working better together (here the G20 would preferably not cause numerous platforms, gateways, clearing-houses and the like to be established within single agencies, even if in theory they are ‘joint’ facilities, as this will not in itself promote joint working – perhaps the reverse). In the second group are matters on which the G20 is likely to achieve impact through cooperation among its members, or subsets of them. In the third group are the rejects – matters unlikely to benefit from greater cooperation between international organisations (some problems fall squarely within the remit of one organisation, or at least one sectoral cluster of organisations) and also the things that are beyond the scope of intra-G20 cooperation. The latter might include certain regional public goods and some so-called weakest-link international public goods – though most goods in this latter category, such as polio eradication, would in any case not be consistent with the G20’s core economic mandate. It remains to consider broadly what classes of global public good, particularly relevant for the development of low-income countries, should be the primary concern of the G20. The growth/resilience distinction mentioned earlier, which was used as an organising principle for ends-related actions by the French presidency in 2011, already serves to demarcate two such classes of global public good, corresponding to two principal domains of G20 action on development. These are goods above the level of individual states that contribute to growth, and goods that increase the resilience of people generally, without regard to national borders, to major shocks (in what follows, the vague term ‘resilience’, which has both macroeconomic and more localised applications, is replaced by the more familiar and specific term ‘social security’). A third domain of action comes into focus if one considers the means by which the G20 can support the above ends – namely, global-scale international development institutions and international public financing mechanisms. These too are global public goods, even if the finance that they mediate, being limited, is not. This gives us three broad classes of global public good and therefore three broad domains of G20 action on development, which might be taken to encompass roughly the areas outlined at right below. In each case, the challenge is to identify possible G20 actions with the potential for systemic impacts, as opposed to actions that happen to fit under each topic heading. Growth and employment: infrastructure, employment and human capital, public financial management, private sector development, and international private flows relevant for development. Social security: social safety nets, wider social inclusion and protection mechanisms, personal financial services (savings and insurance), and food security. International public financing: global development goals, the mobilisation and allocation of international public financing for development, including global public goods, and the governance of multilateral development banks and funds. Within each of these three domains of action, we can sort possible agenda items – provided they have passed the intuitive significance test – into the three groups previously mentioned: those susceptible of collective action by international organisations, those not meeting the latter criterion but susceptible of collective action by all or some G20 members, and those meeting neither of the previous criteria. Items of the first two types would be candidates for inclusion, with those of the first type most strongly preferred. Items of the third type, the rejects, might in some cases attract mentions in passing by G20 leaders, ministerial groups or other bodies, in ‘blessing’ mode. What would be the implications of applying the above principles in assessing the menu of actual and possible development agenda items? I shall attempt only a broad and selective answer to that question here, mostly limited to the main items already under discussion. A consideration of all the items vying for a place on the G20’s development agenda, including some that are also under discussion within the G8, would be very time-consuming. how large-scale corruption and inefficiency in the construction sector can be reduced through standardised approaches to information transparency, such as the Construction Sector Transparency Initiative. However, the other main pillar of work to date, food security, would preferably decrease somewhat in prominence, with a corresponding increase in attention to the importance of social security more generally. This is not to understate the importance of food security, which undoubtedly will always maintain a high political profile as a topic in its own right. Rather, it is to recognise that food security is for many poor people, and particularly those in urban settings, the same thing as income security. Since the Seoul Summit, the G20 – in the Development Working Group and in discussions among agriculture ministers – has tended to dwell increasingly on the question of how to enhance smallholder agricultural productivity in low-income countries. This should really be a matter for the relevant sectoral cluster of international organisations and their governing bodies. The G20 would do better to concentrate on the problem of ensuring food availability, which is primarily a matter of dealing with affordability and logistical constraints. From this perspective, in which food security is subsumed under the broader heading of social security, the G20 should take a greater interest in measures that would assist in real-time monitoring of crisis impacts on household incomes and food availability. The Global Pulse initiative should be retrieved from its current place in the sidelines. The G20 should intensify its efforts to promote the replication and expansion of effective targeted cash transfer programs, including through practical, outcome-oriented knowledge-sharing efforts and more effective collaboration on social protection programming between multilateral agencies. At the same time, it should maintain its interest in the potential benefits of emergency food reserves, and in information transparency with respect to global food stocks and flows, while reducing its emphasis on agricultural production systems. Work in each of the areas here recommended would involve both collective action on the part of international organisations and on the part of G20 members, or subsets of them. From the perspective outlined above, the Global Agriculture and Food Security Program, which channels donor funds to multiple international organisations and makes regular appearances in G20 communiqués, might have been a better flagship G20 initiative if it had been less heavily oriented toward production-related assistance. By contrast, the AgResults initiative, though also production-oriented, does make sense as a G20 initiative – but in the category of innovative financing (see below) rather than in the category of social security. International public financing for development, the suggested third principal domain of G20 action on development, has only a toehold on the agenda at present, principally through the G20’s work on financial inclusion. Questions about the future of the concessional lending arms of the World Bank and the Asian Development Bank, in light of the looming graduation of much of their client base, would be addressed here, rather than piecemeal within replenishment negotiations for individual funds. Questions about the financing of action on climate change in developing countries might also figure here, together with questions about the multilateral climate change architecture, which cries out for rationalisation. Beyond climate change mitigation, the international public financing domain might encompass discussions on the financing of global public goods more generally. The goods in question need not relate strictly to the G20’s economic mandate, as the focus would be on the effectiveness of the financing models used to provide them. Such discussions might cover, for example, the performance and relative merits of a range of quasi-experimental initiatives such as the Advance Market Commitment for pneumococcal vaccines and the International Financing Facility for Immunisation, as well as the smaller AgResults initiative already mentioned. At present, such initiatives are subject to little strategic oversight and comparative assessment. As a result, it appears unlikely any momentum will build for their replication or expansion. The post-2015 development agenda is an inevitable but legitimate topic for G20 discussion in the international public financing domain, despite the fact that the G20’s own development agenda was initially defined by contrast with what might be termed the ‘Millennium Development Goals (MDG) agenda’ (one could argue that the three domains of work proposed above – growth and employment, social security and international public financing – encapsulate almost exactly what was missing in the MDGs). The reasoning here is that the G20 has a legitimate interest in ensuring that its development agenda is adequately reflected in the post-2015 framework, as it was not in the MDGs, and in particular that the framework does a better job of incorporating incentives for the provision of global public goods important for development. Aid effectiveness would find no place in the agenda. Inefficiency in the aid system hardly poses a global risk, and aid effectiveness is most effectively dealt with through the Organisation for Economic Co-operation and Development (OECD) Development Assistance Committee and its outreach processes (or, less probably, through the new and unwieldy Global Partnership on Effective Development Cooperation which was launched at the Fourth High-Level Forum on Aid Effectiveness in Busan, in 2011). It is sometimes thought that through intra-G20 dialogue and triangular cooperation the G20 might improve the aid practices of the emerging economies. Assuming such action is warranted at all, it seems unlikely to succeed in the G20 context, and has little to do with what should be the body’s main development objectives. In short, taking into account the principles articulated in the previous section and the direction of the G20’s most effective work on development to date, there appear to be three particularly pressing needs. First, the G20 should advance its work on infrastructure – an area where there is a relatively well-defined sub-agenda, but also an area in which progress has largely stalled. Second, it should seek to achieve a more appropriate balance and connection between its work on social security in general and its work on food security. Third, it should greatly increase the level of attention given to global development financing issues, which are at present discussed primarily in specialised settings. Before concluding, some remarks on process are also relevant, as no quantity of theory will outweigh serious deficiencies of process. The G20’s work on development, like its work generally, will need, over time, to become better organised and supported, more accountable and, without excessive efficiency loss, more transparent and inclusive. Transparency and outreach will be increasingly important for legitimacy as time wears on. There are four main points to be made on this topic. First, it is important that relations are established with groupings of the more marginalised developing countries, such as the Least-Developed Countries (LDCs) and the G7+ group of fragile states (at present, small states are to a small extent engaged with the assistance of the Commonwealth Secretariat). It is striking that while there are now organised outreach structures for business, civil society organisations, organised labour, think tanks and youth, there is no such structure for low-income countries. Consideration could be given to forming such a structure, which might include the several developing countries that receive invitations to a given summit (including, by custom, the chairs of the African Union and Association of Southeast Asian Nations [ASEAN]) together with representatives of other regional or interest-based groupings. Or, if it were felt there is adequate representation of the interests of most developing countries under the current arrangements, consideration might at least be given to creating a formal outreach structure for the most vulnerable countries - a ‘V20’. Second, the accountability framework to be adopted in St. Petersburg should not merely be a scorekeeping tool, to be used for tracking implementation of past commitments. The limitations of such tools are evident if you consider the G20 scorecards regularly issued by the University of Toronto. While these serve a useful purpose, they convey no sense of priority or impact in relation to the commitments that they track, and tend to create an inflated impression of the level of effective activity that is under way. Accountability is better viewed as a by-product of establishing a coherent logic of action, formulating clear goals and adopting a strategic, disciplined and transparent approach to their achievement. Articulating a compelling plot is nine-tenths of the accountability task. Third, while the development agenda certainly need not be equated with the work program of the Development Working Group, it would be better that significant areas of work did not regularly float in and out of the latter body’s purview. Infrastructure, for example, quickly floated out in 2011. And financial inclusion, which had long been managed within the finance ministers’ orbit – whereas the Development Working Group reports to leaders through their ‘sherpas’ – appears to have floated in during 2013. Innovative financing, in the sense understood by the French presidency in 2011, was at no point considered by the Development Working Group. Fourth, Development Working Group reports to leaders should be explicitly linked to the reports prepared by the World Bank for each summit in connection with the Framework and its Mutual Assessment Process. That would help to clarify how members are contributing to the objectives of the Framework through the implementation of relevant policies in their own countries, support for structural reforms in developing countries, and global initiatives. Conversely, the World Bank reports should more explicitly and critically address the various G20 working groups’ development-related priorities. The Bank has the capacity to provide a useful perspective on the relevance and impact of the G20’s work on development, even if it is by no means a disinterested observer. The central argument of this paper might be summarised as follows. In considering how to render the G20’s development agenda suitably vertebrate, the main game should be crisis prevention and impact mitigation for the benefit of the world as a whole. The G20’s role should be to provide global public goods relevant to this aim, in the context of the challenges faced by low-income countries. Its principal tools should be coalitions of international organisations. Where necessary, it should take collective action within its own membership. The matters with which it deals should be conceived as inhabiting one of three domains of action: growth and employment, social security and international public financing. The G20 should adopt a goal-driven and strategic approach to each of these matters, and proceed transparently, which will yield accountability and legitimacy as important by-products. Low-income countries, and particularly marginalised country groupings, need to experience more systematic and effective outreach. Infrastructure, social protection, and the future of concessional financing for development should be accorded particularly high priority in the immediate period ahead. This paper argues that inclusive development needs to be at the heart of the G20 agenda and part of the ‘growth’ message for the G20 if it wants to survive and thrive as the ‘premier forum of international economic cooperation’. Development as it is considered in the Framework for Strong, Sustainable and Balanced Growth should be reconceptualised as freedom, including opportunities for the poorest – not just macro-economic growth, which emphasises the G20’s comparative advantage as a forum for political leadership coping with the human consequences of globalisation. The G20 also needs to have a ‘gender moment’ if it is to be seen as a credible global actor. The lack of gender analysis underpinning current debates, the lack of women’s representation in G20 processes and the little attention to issues of gender equality and its links to economic growth in the communiqués must be remedied. I argue investing in gender equality will lead to Strong, Sustainable and Balanced Growth. I argue for an examination of the G20’s multiple accountabilities; accountability to the current G20 agenda/promises is important, but so is accountability to citizens of G20 countries, including women, accountability to non-G20 countries, to regional actors, and especially to the world’s poorest people. A development pillar should be added to the mutual assessment framework. The G20’s future lies in the ‘beyond aid’ agenda (trade facilitation, labour mobility, gender equality, climate finance, migration, technology, etc. ), and the aim should be policy coherence for development. Leaders’ declarations in St. Petersburg, Brisbane and Istanbul need to speak to inclusive growth and acknowledge poverty and inequality challenges within the G20. The G20 cannot be a credible development actor without paying serious attention to gender equality issues. The new Development Action Plan and Mutual Assessment Plan must be informed by serious gender analysis and appropriate indicators. The G20 is currently the ‘premier forum for international economic cooperation’, bringing together political leaders from nations that provide over 80 per cent of the world’s economic output to face the complexity of globalised markets. Since 2010, the G20 has had a significant development agenda. My argument is that the world is facing a global reckoning point in 2015 on many crucial international development issues; including climate change finance, aid effectiveness, transparency reforms, and the end of the United Nations (UN) Millennium Development Goals (MDGs) which provide the current global framework and targets for development. Diplomatic impasses have resulted in a range of international forum between the G7 countries and rising powers such as Brazil, Russia, India, China, South Africa (the ‘Outreach 5’) and Mexico (BRICSAM), but also with other groups of nations, including regional actors in the Asia-Pacific. The G20 is therefore important as a ‘lever for progress’ on these development issues because the right actors are at the table to break these deadlocks. This is not to dismiss the serious legitimacy issues the G20 has with membership and outreach, but to see them as intimately linked. In this sense, at this historical juncture, the G20 is a critical platform for the future of global governance, as it is a forum with deliberately shared membership between emerging and dominant powers, and it is nimble enough to move quickly. As a development actor, the G20 shows promise. Development debates themselves have fundamentally changed, away from a focus on low-income countries, towards rising income inequality and ‘pockets of poverty’ in middle-income countries and entrenched poverty cycles in fragile states. However, the relationship between the Seoul Development Consensus and the G20’s Framework for Strong, Sustainable and Balanced Growth is weak at best, and at worst, development is subordinated and instrumentalised. In operational terms, the Development Working Group (DWG) is a sub-group of a sherpa stream, and sidelined from the main agenda. The multi-year, action plan (MYAP) connected to the consensus has produced some good initiatives, described below, but little deliverables. The MYAP itself is fractured, diffuse, mostly divorced from the overall G20 framework, peripheral to leaders’ declarations, badly communicated to civil society and often opaque to external scrutiny. China and India, crucial development actors in the Asia-Pacific, have not participated actively. Representatives from low-income countries are not regularly represented at a formal level. Often the G20 has struggled to find its comparative advantage in this area of its work, possibly due to the actors involved (where finance and development officials from the same government may disagree), or the seemingly inherent conflicts between social equity and an economic growth agenda. Many commentators in the wider international development field have maintained that rather than tinker, G20 policies and practices as a whole must contribute to growth which reduces inequality, ensuring development is sustainable (in social and environmental terms) and tackling poverty. Dirk Willem te Velde argues that the G20 needs to broaden its development work to explicitly cover the economic implications of G20 core actions in fiscal, financial, trade, exchange rate, and environmental policies for non-G20 countries. In other words, the G20 should see itself as a development actor, not as an actor engaging in some side-projects, and its core inquiry should be: what are the development consequences of our focus on macroeconomic coordination and financial regulation, on our own populations and those in other states? The expiration of the Seoul MYAP offers an opportunity for the G20 as a whole to reformulate and reprioritise its work on development. The G20 should at least do no harm to poor people living inside its own member state borders, nor people living in pockets of extreme poverty in non-member countries, nor least developed countries (LDCs). Above that, it can provide political pressure and mobilise resources to end stalemates that affect progress to eradicate poverty in other forum. In my view, the G20 should analyse, forecast, share, model good behaviour and support mandates given to institutions with universal membership, rather than ‘do’ or pledge in the development arena, especially where its actions affect poor nations excluded from the conversation. If the troika adopt a ‘back to basics’ approach to the 2014 Brisbane G20 Summit, the area of most consensus in the development pillar would be on infrastructure as it relates to food security, clean energy and financial inclusion/income inequality (food, fuel, finance). But it may well be other areas of the G20 agenda such as jobs, financing for investment or anti-corruption measures that have the strongest development outcomes. I recommend the G20 works harder in its meetings outside the DWG to promote policy coherence for development, especially the ‘beyond aid’ agenda, in areas such as trade facilitation, labour mobility, gender equality and climate finance. To this end, a development pillar should be added to the mutual assessment framework as an accountability measure. What contribution has the G20 made to the development agenda? To take new steps to increase access to food, fuel and finance among the world’s poorest while clamping down on illicit outflows. Steps to reduce the development gap can be a potent driver of global growth. This is quite different to the development approach taken by the UN, which is based on the right to development by states, and the right of individuals to lead a life of human dignity, encompassing a range of economic and social human rights. This is what Amartya Sen has coined a ‘development as freedom’ approach. The multilateral development banks have also moved in this direction (albeit often under external pressure). Sustainable development also has a different, much wider meaning in UN contexts such as the Rio +20 Summit Outcomes from 2012 than it does in the G20 context. The global economic crisis affected disproportionately the most vulnerable people. In the context of global risks, there is a growing need to develop mechanisms to offer better protection and ensure a more inclusive growth path. The G20 will continue its work to promote a strong, balanced and sustainable growth, to narrow gaps in levels of prosperity, to foster a shared and inclusive growth, to further reduce poverty, promote gender equality and contribute to job creation. We reaffirm our commitment to work with developing countries, particularly low income countries, and to support them in implementing the nationally driven policies and priorities which are needed to fulfill internationally agreed development goals, particularly the Millennium Development Goals (MDGs) and beyond. This closer, conceptual alignment may make it easier for the G20 to work with existing development actors, and it should also help narrow down where the G20 should prioritise and can add value. After all, poverty is something the G20 should know about; most G20 nations are either dealing with it within their own borders or, like South Korea, have transitioned from being an aid recipient to a donor. More than one half of the world’s poorest people live in G20 nations, as the following graph from the Institute of Development Studies makes clear. G20 declarations that make it sound as though poverty is ‘out there’, rather than a shared experience, negate the value of the G20 as a development actor. the G20 has set up a high level panel on infrastructure investment, that brought stakeholders together to unlock binding constraints to infrastructure financing at the Summit in Cannes. This issue is important to the region, but the high level panel ended up recommending mega-projects without sufficient consideration of environmental and social safeguards. This controversy around implementation is not limited to the development agenda. Kharas and Lombardi speak of ‘mixed’ and ‘uneven’ progress about the G20 as a whole, as do other well-placed commentators. What more can the G20 do? human resource development, especially developing skill sets that suit market needs. In addition, the document states that the G20 will support the UN’s creation of a post-2015 agenda, deliver the G20 Accountability Report on Development and a St. Petersburg Development Action Plan. Various development thinkers and international NGOs have been coming up with their wish-list for the upcoming St. Petersburg Development Principles. Most commentators will be looking for specific, measureable and time-bound commitments on key issues in the successor to the MYAP, which should also focus on a process of quality engagement with LICs, and Africa as a region. Some have focused on the enduring agenda items of food security and commodity-price volatility. Others focus on clean energy, especially the long-standing commitment of the G20 to a phase-out of all fossil fuel subsidies, yet to be realised. The G20 recently established a working group on climate change financing, and many environmental NGOs hope that it could be a circuit-breaker leading up to the United Nations Framework Convention on Climate Change (UNFCC). Others hope that the 2014 Brisbane Summit might focus on providing decent employment opportunities to deal with the youth bulge in the region, with many aspects of the jobs agenda already raised across the G20 agenda (reducing the costs of remittances, labour movement flexibility and so forth). take action to address tax havens and improve tax transparency so that developing countries do not lose the revenue they need to invest in ending poverty and inequality (the Australian Government has already announced in the 2013-14 Budget Papers a focus on countering base erosion and profit-shifting for the Brisbane Summit). The finance gap and design/risk issues for investment in infrastructure for development outcomes is clearly an area of the development agenda that has the potential to be placed on the leadership track negotiations. The issue of public-private partnerships in this area raises significant concerns for many development commentators, especially about the capacities of governments to be a strong and equal partner who can exercise control of public and global goods. This is a wider issue in relation to the relationship of business actors and development, especially in official development programs. How to finance and handle the risk issues for what I term ‘leapfrog’ green and clean infrastructure (including technology infrastructure) that meets the development needs of states and also safeguards vulnerable communities is a key debate for St Petersburg and the next troika period. Broad-based economic policies have gender-specific effects because sources of gender inequality interact with changes in the economic environment to produce distinct outcomes for women and men. Gender-blind policies are rarely gender-neutral. For example, women lag far behind men in access to land, credit and decent jobs, even though a growing body of research shows that enhancing women’s economic options boosts national economies. Macroeconomic policies and policy-making can make the connections to gender equality, for better or worse. We know the adverse effect austerity measures have had, closing one third of women’s refuges in the UK and all women’s shelters in Greece, and causing gendered job losses in the public sector and certain industries, not to mention the care economy. We also know the recent food crisis led to stunting in girls under five at rates significantly higher than boys. The G20 needs a seminal moment on this issue, as the Security Council did in 2000 with the emergence of the Women Peace and Security agenda. Heintz recommends the development of a ‘Toolkit on Economic Policy and Gender’ to integrate gender into the G20’s agenda, plus some serious attention to gender in the new Development Action Plan. Many development commentators, myself included, were apprehensive about the inclusion of the post-2015 agenda onto the already full agenda of the Development Working Group, preferring this to be an exclusively UN-led process. The right role for G20 members is in the demonstration of political leadership for the achievement of the current goals. They should demonstrate and act on their commitment to achieve the MDGs; commit sufficient resources to achieve the MDGs by committing sufficient Official Development Assistance (ODA) and mobilising sufficient domestic resources, as appropriate; and promote new approaches to development financing by agreeing on existing and innovative financing mechanisms. G20 members could also deliver collective statements endorsing a bottom-up process for the development of a single post-2015 framework and the full inclusion of southern perspectives in the new framework; and define carefully the role of the G20 in order to ensure there is no duplication with UN processes. But the G20 could also inform the UN processes in a meaningful way with its capacity for modeling, forecasting and providing analysis of economic drivers. Whatever comes out of the 2015 process, be it new MDGs or ‘Sustainable Development Goals’, the G20 should link its development agenda and its Framework definitions to these, to prevent diffusion and confusion. A profound economic transformation can end extreme poverty and promote sustainable development, improving livelihoods, by harnessing innovation, technology, and the potential of business. More diversified economies, with equal opportunities for all, can drive social inclusion, especially for young people, and foster respect for the environment. Will the G20 evolve into the international macroeconomic and development equivalent to the role of the United Nations Security Council over time, with a limited membership that is part crisis management and part steering committee, and also capable of dealing with threats to international peace and security? At least, do no harm. The Development Working Group should explicitly monitor the economic implications of the G20’s core actions in fiscal, financial, trade, exchange rate and environmental policies for non-G20 countries, especially LICs. The G20’s future lies in the ’beyond aid’ agenda (trade facilitation, labour mobility, gender equality, climate finance, migration, technology etc. ), and the aim should be policy coherence for development. Leaders’ declarations in St. Petersburg, Brisbane and Istanbul need to speak to inclusive growth and acknowledge poverty and inequality challenges within G20. The G20 cannot be a credible development actor without paying serious attention to gender equality issues. The new Development Action Plan and Mutual Assessment Plan must be informed by serious gender analysis and indicators. Finally, the G20 is a site where poverty and wealth exist very close together. For the G20 to fulfil its global governance potential, it should do more to understand itself and the relationship between development, growth and inequality. It is a coincidence of timing, but significant – Australia’s role as chair of the G20 in 2014 comes at a time when the international community will once again be fixing its focus on global poverty. As the world marks itself up or down on how well it has tackled the 2015 Millennium Development Goals (MDGs), pressure is likely to build on the G20 to support the last minute international rush to meet as many MDG targets as possible. At the same time, there will be a continuation of the debate about how appropriate it is for a grouping that does not include representation from many of the world’s developing countries, to be discussing and deciding on development and poverty issues. But opposition to the G20’s involvement in the development debate is not new. It has been encouraged by the increasing criticism of the perceived underperformance of the grouping as a whole. The development agenda, formalised at the Seoul G20 Summit in 2010, has in part been blamed for diluting the G20’s focus on core issues. However, the history of the G20, dating back to its early days as a finance ministers’ and central bank governors’ gathering, shows that rather than being a latecomer, development and aid have been on the agenda for over a decade – in line with the second part of the G20’s original mandate: stable and sustainable world economic growth that benefits all. And in the wake of the UN’s 2002 Financing for Development conference and ensuing Monterrey Consensus, the New Delhi G20 ministerial affirmed their commitment to achieve the MDGs and their support for the New Partnership for Africa’s Development (NEPAD) initiative endorsed by the G8 in 2001. What has changed in the past 10 years is that the agenda is now not a debate about the size of foreign aid budgets but about development of the world’s poorer regions and countries. And the question is not whether development should be on the G20 agenda. The reality of the global economic system is that it would be myopic for G20 leaders not to include development on their agenda. Instead, the question is whether the G20’s development agenda, as it is now defined, has diverted the G20 from a more effective approach to supporting development. And if so, what should it do differently to bring it back on track? The genesis of the G20 development agenda goes back to before the start of the leaders’ summits. It is buried in the history of the early G20, which was initially a meeting of central bank governors and finance ministers from the G7, Australia, the EU and emerging economies, formed in the aftermath of the 1997 Asian financial crisis. A significant aspect of these earlier years is that it provided a forum for the emerging economies to start to shape the international economic agenda in real partnership with the major economies. Although emerging, they were still developing countries, attuned to the binding constraints within the international economic architecture that hindered development in poorer countries. In other words, there was support among the membership to address development issues because they had a direct impact on their own economic performance. The promotion of the G20 to a leaders’ summit in 2008 in response to the global financial crisis (GFC) saw what turned out to be a temporary absence of development from the leaders’ agenda at the inaugural Washington Summit in November 2008. This deletion is not surprising as the 2008 meeting was intended to be an emergency response to a global crisis. A sharp focus on that crisis was paramount. Nancy Birdsall, director of the Centre for Global Development, likened the situation in 2009 to a Bretton Woods moment: ‘Now is the time for the G20 – today’s equivalent of the Allies in World War II – to begin serious deliberations on the design of the institutional arrangements for addressing common challenges, not only averting climate catastrophe but also other global public goods – including especially reductions in global poverty.’ She argued that the World Bank was poorly designed to meet the challenges that the world’s integrated economy now posed, for all its benefits, and that it was time to renovate the international architecture for addressing global development problems. For Birdsall, the G20 was the body to do it. The April 2009 summit in London recognised that for growth to be sustained it had to be shared, including with emerging markets and the poorest countries. The London Summit statement is full of references to the ways in which the financial system, financial regulation, international financial institutions and trade could support developing countries. The leaders reaffirmed their commitment to meeting the MDGs and achieving respective ODA pledges, including on aid for trade, debt relief and the 2005 Gleneagles (G8) commitments. The September Pittsburgh meeting – the third G20 summit in less than 12 months – tasked the World Bank to advise ‘on progress in promoting development and poverty reduction as part of the rebalancing of global growth.’ The Bank’s report, which was presented at the June 2010 Toronto Summit, highlighted the centrality of global growth to development. It made the point that the most important thing the G20 could do for development was to restore strong growth. It recognised that global growth not only depended on growth in developed countries, but that it was also very important in developing countries. It recognised that the world’s tighter financial conditions could have a long-term impact on much needed financial flows to developing countries. And finally, it reinforced the view that open trade was the engine of growth. By the time of the Toronto Summit, leaders were committed to addressing the development gap. That summit’s declaration made it clear that ‘narrowing the development gap and reducing poverty are integral to our broader objective of achieving strong, sustainable and balanced growth.’ The same summit established a working group on development (DWG), charged with devising a development agenda and action plans to be considered at the Seoul Summit, just four months later. The short deadline alone points to the urgency that G20 leaders attributed to this issue. It was the Seoul meeting in November 2010 that saw the development agenda formally brought onto the grouping’s list of things to do. South Korea, one of only two countries to have transitioned from a developing to developed country in one generation, pushed to have ‘development’ as a distinct item on the Seoul Summit agenda. As Baroness Shriti Vadera, the former UK Minister for Economic Competitiveness, explained in her role as advisor to the Korean G20 presidency, Korea was keen to use its success in becoming a developed country as a model for others and as a reminder that the starting point for development was economic growth. The Seoul Summit signed onto a nine-pillar, Multi-Year Action Plan (MYAP) that gave substance to the Seoul Development Consensus. The nine pillars covered a wide territory – infrastructure; human resource development; trade, private investment and job creation; food security; growth with resilience; financial inclusion; domestic resource mobilisation; and knowledge sharing. The MYAP also came with a set of tasks for international organisations, particularly the development banks. The plan was very ambitious, especially given the informal authority and limited membership of the G20. The international development arena is an increasingly crowded space. Since the Millennium Development Goals were agreed in 2000, participants in the development debate have expanded well beyond the early members – the OECD’s Development Assistance Committee (DAC), recipients and relevant international organisations – to include international non-government and civil society organisations, think tanks and universities, private philanthropic organisations and development-focused business bodies. This rapid expansion has put pressure on the traditional development community to open up the discussion to ensure that debate and decisions about development are transparent and that the process is inclusive. The early exclusiveness of the DAC-initiated aid effectiveness forums have, in less than a decade, burgeoned from small meetings of one hundred or so like-minded donor representatives to major international gatherings of three thousand-plus, bringing together disparate and, at times, opposing views. At the same time, the number of multilateral and international processes guiding international development has multiplied and a plethora of working groups have been created to take development agendas forward. This new pluralistic world, despite or perhaps because of its inclusiveness, presents a major stumbling block to achieving consensus on development issues, including on an appropriate successor to the Millennium Development Goals. So how is the G20 contributing to this already busy development arena? The Seoul communiqué committed the G20 to ‘full, timely and effective implementation’ of the Multi-Year Action Plan but the plan itself was not clear on how implementation and progress would be monitored. The first report on the implementation of the action plan was presented during the French presidency of the G20 at a September 2011 meeting of finance ministers and ministers responsible for development cooperation. The report welcomed the progress achieved in the action plan’s two priorities – infrastructure and food security – as well as social protection and remittances. However, it was less than clear on what had actually been achieved, although it did emphasise the centrality of the G20 development agenda to the issues facing the G20. At the next summit held in Los Cabos, Mexico, the G20 asked the DWG to put together a process to assess the work on the development agenda. In part, this was an unstated recognition that there had been no systematic assessment of the G20’s development work. It also reflected the criticism that the G20 remained unaccountable, particularly to those developing countries not represented in the G20. Thus, in line with the Los Cabos decision, it is expected that the 2013 Russia Summit will have an accountability report to consider. Despite these late efforts to address the accountability and monitoring oversights of the MYAP, the question remains about the overall feasibility of the plan. With nine pillars, each with an array of actions and tasks, it is an ambitious and extensive framework. No doubt its original authors envisaged that if fulfilled, it would make an important contribution to development efforts. However, there are a number of significant hindrances to the MYAP achieving its authors’ expectations. First, the very nature of the G20, as an informal grouping, means that it does not have the representation or authority to insist on and pursue implementation. While membership of the G20 represents around 85 per cent of global economic activity, 173 countries are not represented and many of them are developing economies – the intended beneficiaries of the development agenda. These countries do not have representation at a table which is considering issues of direct relevance to and impact on their development realities. Furthermore, as an informal body, the G20 is not accountable except as an international model of what can be achieved. While the role of ‘model’ is not insignificant, the structures and formal processes to measure and document achievements are not in place. Added to this is the short timeframe envisaged for undertaking numerous actions in a complex and intricately connected global economic system, within the parameters of a broader development dialogue involving a plethora of different processes, as discussed earlier. In this area, the G20 development agenda runs the risk of contradicting or even undermining the achievements and principles agreed and promoted in other development forum. This is particularly true in the case of the aid effectiveness agenda. The aid effectiveness principles that have guided international development over the past decade are encapsulated in the OECD-sponsored Paris Declaration (2005) and reinforced by subsequent High Level Forums on aid effectiveness (Accra 2008 and Busan 2011). Championed initially by the traditional donors’ grouping, the DAC, there is now widespread support for the principles which reinforce country ownership of national development strategies, donor alignment in support of those strategies, harmonisation across donor efforts to eliminate duplication, monitoring of results and mutual accountability. As MYAP attempts to introduce a range of actions in developing countries, notably through its infrastructure, human resource development and growth and resilience pillars, there is a real risk that the aid effectiveness principles – particularly ownership and accountability – will be inadvertently undermined. This is further underscored by the fact that of the 26 members of the DAC, only ten are represented in the G20. There is also the inherent mismatch between the almost emergency style timeframe for the MYAP and the proposed actions and initiatives that demand a longer-term timeframe and much patience. Part of the problem is the way in which the G20 operates. While having a troika to oversee the transition assuages the situation to a degree, the reality is that each year there is a new chair with new priorities and different development perspectives. So an inherent flaw of the G20 is not just that it has taken on too much, but that its ‘architecture’ does not fit well with the long term and systemic issues it needs to address to support development. Yet despite these constraints and associated criticisms, various commentators have noted that there has been some important progress with the development agenda. Notable among the achievements has been the reforms to, and increased resources for, international financial institutions. The establishment of the High-Level Panel on Infrastructure Investment has helped to unlock some of the binding constraints to infrastructure finance. There has also been some progress in enhancing food security. And while the results are still being assessed, the numerical targets to reduce the costs of remittances promise to improve the transfer of much needed funds to less mature economies. The overall ongoing strength of the G20’s inclusion of a development agenda is the reality that there is not one set of economic fundamentals for the developed world and another set for the developing world. It has been widely and successfully argued that what the G20 does will have an impact on development prospects for the less robust economies. The major issue facing the G20 in development is not whether it should or should not contribute to the broader effort to support developing economies in achieving sustainable and equitable growth. Instead, the major challenge is how to ensure that the contribution is effective and not duplicating or, even worse, countering other separate efforts, such as the aid effectiveness agenda. The G20 brings with it some powerful tools for supporting its contribution to development, particularly on the eve of the decisions to be made about the post-2015 development agenda. Although its informality and lack of a permanent secretariat has been the source of criticism, the informal structure does bring with it a flexibility that enables it to encourage timely and, if needed, speedy responses to critical issues impacting developing countries. This has been recognised as a major strength in supporting its early and effective response to the GFC. Its representation (while also the source of criticism) does reflect 85 per cent of world economic activity. And despite the limited cross-representation between the G20 and DAC, the ten who are members of both account for around three-quarters of total DAC aid flows to developing countries. This confluence of broader economic power and availability of resources to support development should encourage G20 members to focus on coherence and complementarity with other leading development agendas. These are notably the post-2015 framework and the ongoing aid effectiveness efforts now encapsulated in the Global Partnership for Effective Development Cooperation that came out of the most recent High-Level Forum on Aid Effectiveness in Busan in 2011. Aside from its powerful economic role, the other significant tool the G20 brings to the development table is its political influence. The G20 is neither an implementing agency nor a decision-making body, but it influences and encourages revision of an architecture that needs fixing. An important value-add therefore lies in the membership itself. It may not be entirely representative, but it has much to contribute in terms of its political influence . Additionally, given the pluralism that characterises the international development debate and the fact that major donors are largely constrained by tough domestic budgets that diminish their willingness to take the lead, the G20 can take on the development leadership role that was previously undertaken by the G8 prior to the GFC. There is also benefit in not being the G8; instead it is a grouping that is more representative of the world’s economic powerhouses and one that ensures that important, if still emerging economies, are able to influence global economic policy in a way not possible within the G8 grouping. There is well-warranted criticism that the Seoul Multi-Year Action Plan (MYAP) for development is too broad and too ambitious for a grouping such as the G20. But given its economic and political strengths, the G20 provides an opportunity to bring policy coherence and a global economic framework that considers issues impacting developing countries in a more comprehensive way than international aid-specific organisations. Views vary on how the G20 can make a stronger contribution to development, but it clearly should identify a focused set of tasks – perhaps stripping the MYAP down to a tight, strategic set of priorities, whose outcomes can be reinforced by policy directions set in the broader G20 agenda. Pending the outcomes of the anticipated accountability and assessment reports, the G20 also has an opportunity to build on those areas where it has had success and where it also has clear comparative policy advantages, such as infrastructure, food security and green growth. It also needs to keep the leaders engaged. With the establishment of the Development Working Group to shepherd the development agenda, the process of deliberation has shifted significantly away from the leaders to members of the working group. If development outcomes are an inherent part of the G20’s work, the leaders’ involvement needs to be strengthened to match their participation in other aspects of the G20 agenda. While these issues present a longer-term direction for the G20, in the short-term it has an important role to play in providing a supportive contribution to the post-2015 development framework discussion. In considering that role, it needs to examine what systemic reform should be implemented to entrench support for the goals that succeed the MDGs. The G20 has a specific and important contributing role to play in the global efforts to address poverty and strengthen the economic capacity of developing countries. Part of that contribution lies in the way it can use its economic and political power to influence and shape the global approach to development. In terms of specific development action, it needs to bring forward efficiency and effectiveness as guiding principles, paring its development actions down to a short list of priorities and ensuring coherence with decisions made in other parts of the G20 agenda. This coherence should also be informed by principles and agreements reached in other significant international development forums. Paramount in this, at least in the immediate term, is the way in which G20 development actions can support and underpin decisions about the post-2015 development framework and approach. The establishment of the G20 as a summit-level body in 2008 was an important achievement, but its record so far has been mixed. There is still little evidence that it can develop and deliver lasting global solutions to global problems, beyond dealing with the immediate aftermath of the 2008 economic crisis. But if the G20 is the pre-eminent global economic body – which is how its members like to describe it – then it has to act on issues beyond the immediate preoccupations of its members. Action on global poverty is a critical part of a credible and effective G20 agenda. To be effective, it must step up and provide the leadership that the world needs to address poverty and inequality and overcome the interlinked threats of economic, food, and climate crises. Addressing these global challenges is in the interest of all citizens around the world, and would give the G20 much-needed credibility. There is, of course, also an unquestionable moral imperative for doing so. As Australia prepares to assume the G20 presidency on 1 December 2013, it must rise to this challenge. The G20 has set itself an ambitious agenda by a commitment to promote shared growth and narrow the global development gap. But so far the G20’s actions have failed to match its ambitions. The Seoul Development Consensus for Shared Growth, adopted by the G20 in November 2010, has not succeeded in overcoming the biggest obstacles developing countries face in their attempts to narrow that gap and benefit from growth, while staying within essential ecological boundaries. Most of the commitments made in the 2010 consensus and its accompanying Multi-Year Action Plan (MYAP) have now expired, and despite the efforts of the current Russian G20 presidency, there is as yet no consensus within the G20 on what will come next in terms of the G20 and development. As the leading global economic forum, the G20 has the potential to be a powerful leader in addressing global development problems/issues. It is now more urgent than ever that the G20 tackle the most pressing challenges to developing-country prosperity. During its presidency of the G20, Australia can make historic progress in bringing shared and sustainable growth to the poorest, by ensuring poor countries benefit from economic growth, and by securing a renewed commitment to development from the G20. This new commitment must deliver equitable and sustainable growth across developing countries – reducing inequality and tackling poverty and hunger head-on while staying within our planetary resource boundaries. It must do this in a genuinely transparent way, with meaningful, guaranteed representation of low income countries (LIC) at the G20, and with clear actions to ensure the G20 is accountable for delivering its commitments to development. Average global income per person has doubled over the last forty years. The proportion of the world’s population living in poverty has fallen significantly over the same period, but the absolute number remains high: 1.3 billion people still live on less than USD1.25 a day. More than half of these women and men are in G20 countries. Although some countries – such as China and Brazil – have made great strides in enabling people to move out of poverty, major challenges remain. For this reason the G20 must stay focused on poverty reduction and development. The G20 must lead by example. Through the 2010 Seoul Development Consensus for Shared Growth, G20 countries raised hopes that they would do exactly that, arguing that ‘for prosperity to be sustained it must be shared’. Under the Australian presidency, the G20 needs to raise its game by matching action to rhetoric in order to reach this worthy objective. Just as poverty remains a challenge for the G20, inequality is rising across all but four G20 countries. In a recent paper Oxfam showed that only four G20 countries – including just one high-income country, South Korea – have reduced income inequality since 1990. In this regard, the G20 is being outdone: a large number of others, including low-income and lower-middle-income countries, have reduced income inequality in this period. Inequality erodes the social fabric, and severely limits individuals’ opportunities to escape poverty. Where income inequality is high or growing, the evidence is clear that economic growth has significantly less impact on poverty: a trickle-down approach does not work. Moreover, recent research indicates overwhelmingly that inequality is detrimental to economic growth itself. Inequality leads to instability, prevents productive investment and undermines the institutions of government. The ‘Occupy’ protests and similar movements emerging around the world show the extent to which citizens are concerned about inequality’s corrosive power. Oxfam’s analysis illustrates just how dangerous this trend is. In South Africa, more than a million additional people will be pushed into poverty between 2010 and 2020 unless rapidly growing inequality is addressed. The rewards flowing from increased equality are similarly dramatic. In Brazil and Mexico, bringing inequality down to the level seen in Indonesia (close to the G20 median) could, according to our calculations, reduce the number of people in poverty by 90 per cent in the space of a decade. Most analysis focuses on income inequality, which though important is just one of the many interrelated forms of inequality. In its broadest sense, inequality denies the rights of whole sections of society to be treated with dignity and respect. In many G20 countries, at least half the population are affected: the often subordinate status of women and girls translates into less access to health and education, lower incomes, and poorer life chances than men. The 2013 Russian presidency of the G20 has announced an intention to put in place a successor to the Development Working Group’s MYAP, which was formulated at the Seoul G20 Summit in 2010. However it looks increasingly unlikely that this will be completed by the St. Petersburg Summit in September 2013, so it is likely that this work will be finalised under the Australian presidency. This presents Australia with an important opportunity and responsibility to ensure that the successor to the MYAP puts fighting poverty and inequality at its heart; incorporates clear mechanisms of accountability; and gives development the attention it deserves in the G20 process. 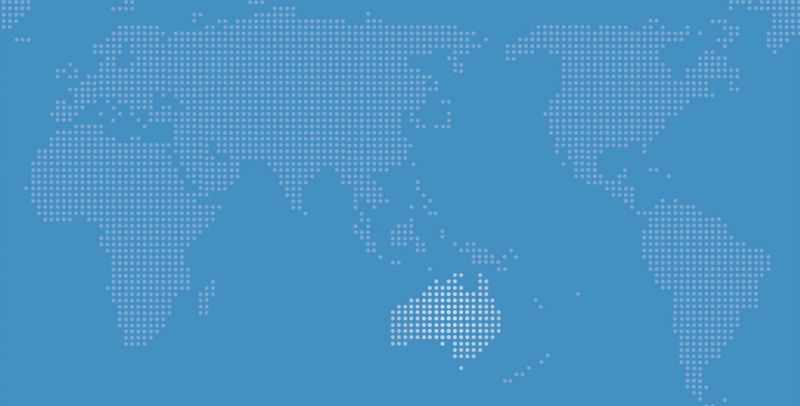 What does the Australian G20 presidency need to do? Commit to reducing – and systematically measuring – inequality. Follow up on the G20’s work to address the root causes and consequences of food price volatility, and take actions to increase food security. Deal with tax avoidance and tax evasion that prevent developing countries accessing funds which are rightfully theirs – and which they can use to fund essential services. Over the last two decades, only four G20 members have reduced levels of inequality. Against the backdrop of rising unemployment and increased public discontent about the impact of the global economic crisis, inequality is now recognised by leading bodies such as the OECD and the World Economic Forum as a top global risk. Governments around the world have a responsibility to ensure that the richest – those at the very top end of societies – do not prosper at the expense of the poorest. Economic inequality makes growth less effective and weakens poverty reduction. Gender inequality not only reduces the opportunities for women to realise their rights, but also makes economic growth less efficient. Evidence shows that redistributive investment in essential public services increases the efficiency and effectiveness of social spending and tackles the root causes of growth-damaging inequality. The G20 must demonstrate its commitment to shared growth by promoting such policies and by measuring inequality directly. Promote adherence to and advancement of social and environmental safeguards that protect and advance human rights as a critical and cross-cutting priority for the G20 inequity agenda. measuring and reporting on the income share of each country’s top ten per cent and bottom ten per cent, also as part of its Article IV consultations. The G20 should produce a publically available annual report on its progress in promoting more inclusive growth and reducing inequality – including gender inequality. The G20 should recognise the importance of measuring the distribution of income growth as well as the average national rate of income growth. In terms of measuring for inequality alongside GDP, it should also endorse measurements of inclusivity (the distribution of growth and inequality) and sustainability (e.g. ecological footprint). The G20 should call on the IFIs to embed these measures into their work (e.g. IMF Article 4 reports). The world has faced a record number of food-related emergencies in recent years and volatility in food prices may have a devastating impact. With the World Bank warning that high food prices will become the new normal, it is Oxfam’s consideration that the G20 should focus on a long-term food security strategy that improves the resilience of the most vulnerable people. Decisive steps need to be taken to directly benefit women and small-scale agricultural producers who are most affected by food insecurity. take a transformative approach to promoting the G20’s infrastructure strategy. As with most, if not all, plans for global actors, the G20 has developed a vision for infrastructure at the heart of its economic growth agenda. Ensuring that the G20 approaches this from a perspective of equity that accommodates both social and environmental protections would be an important point of difference for the Australian presidency to adopt. Increasing tax revenues allows developing countries to use and control their own resources to support their national development plans. Improving tax transparency and tackling tax avoidance and evasion is critical. Oxfam welcomes the G20 finance ministers’ statement at the international financial institutions’ spring meetings in April 2013 that the automatic exchange of information between all jurisdictions is expected to become the global standard to which all are urged to conform. We support an automatic tax information exchange regime that sets the highest standard of multilateral information exchange, and which allows developing countries to access the information shared within the regime from the outset. Developing countries will require assistance to enable, implement and participate in the regime. Importantly, tax havens need to sign-up to such a multilateral regime. To facilitate this, the G20 will need to agree upon measures to incentivise all tax havens to join. The Base Erosion and Profit Shifting (BEPS) project has the potential to initiate the most significant set of international tax reforms in decades. But successful outcomes from the BEPS project will be illusory if non-G20 economies are not able to participate in the re-write of international tax rules. The BEPS process must take the appropriate amount of time to involve non-G20 economies. While it is not the role of the BEPS process to address domestic tax rates, it should offer measures to reduce the kind of ‘tax competition’ that results in inadequate tax revenues, courtesy of the downward pressure caused by harmful and preferential tax regimes – particularly tax havens. The Supporting the development of more effective tax systems report, jointly prepared for the G20 by the IMF, OECD, UN and World Bank, made welcome and constructive recommendations, which the G20 should follow up. G20 members should take responsibility in leading the implementation of effective solutions without leaving the burden of building more effective tax systems to developing countries. The international organisations that collaborated in producing this report should continue to cooperate in realising the report’s recommendations. To summarise the recommendation on taxation, the G20 under Australian presidency should take action to promote fairer taxation systems that have a proven track record of boosting equitable growth. It should pursue this by strengthening domestic resource mobilisation, clamping down on tax competition (halting the race to the bottom on tax rates and tax exemptions), closing tax haven loopholes (by promoting the transparent disclosure of beneficial ownership on who owns bank accounts and companies), and halting tax avoidance and evasion (by implementing country-by-country reporting). Despite the G20’s lofty rhetoric on development, for those living in poverty it has so far failed to deliver. The Australian presidency has an opportunity – and a responsibility – to rectify this. The G20, as a whole, needs to put fighting poverty and inequality at the heart of its work. In particular, if Australia ensures that the successor to the Development Working Group’s MYAP puts fighting poverty and inequality at its heart, incorporates clear mechanisms of accountability, and gives development the attention it deserves in the G20 process, then Australia can ensure the G20 has the best possible chances of success in overcoming poverty and inequality in the years to come. This paper will focus on one area in which the G20 agenda might be extended to enhance its relevance to inclusive growth, poverty and gender equality: financial inclusion. The paper is based on more than two decades of work by CARE International with poor, rural communities in Sub-Saharan Africa. It is recognised that ‘financial inclusion is a critical enabler and accelerator of equitable economic growth, job creation, social and human development’. Research also shows that women re-invest up to 90 per cent of their income in their families and have been recognised across the world as a solid credit investment. Despite this, at present ‘2.5 billion adults – more than a third of the world’s population – are excluded from the formal financial system.’ Women are disproportionately represented among this number, with 37 per cent of women and 46 per cent of men in developing economies having an account at a formal financial institution. The G20 Financial Inclusion Action Plan states a commitment to facilitating universal access to financial services. Realising this commitment will mean addressing the vast inequities that currently exist and which result in the poorest and most marginalised, predominantly women, facing multi-layered challenges in accessing services. There have been welcome advancements in the global dialogue advancing the notion that ‘inclusive finance’ requires intensifying outreach to the poorest strata of clients, especially women. The specific inclusion of proposed goals around universal access to financial services in the recently released High-Level Panel report on the post-2015 development framework is particularly important. However, it is clear that further attention is needed to create enabling environments that support – rather than inhibit – the poorest in accessing services in the informal sector and then moving to utilise the full range of services provided by formal financial institutions. What are the barriers to universal financial inclusion? Rural communities in Africa have the least access to financial services globally, and rural women face additional barriers. This is manifested in many ways: financial products such as bank accounts that require the husband’s signature or evidence of property rights, gender norms limiting women’s mobility, and restricted access to the public space of a bank. In general, women have fewer assets, lack collateral for loans and, in many cases, do not have control over the earnings they do make. For the poorest, low incomes and erratic cash flow are major barriers in accessing financial services. Low levels of financial literacy can be a critical barrier to accessing services and also a central issue affecting consumer protection. Without basic financial literacy the poorest are not only less able to take the steps needed to register for services in the first instance, they are also likely to have low confidence and trust in banks, and are at real risk of signing on to agreements that put them at greater financial disadvantage. Physical distance between financial institutions and poor people provides another significant challenge for safe and affordable access to formal financial services. For people in Kenya, for example, the average distance from the nearest bank branch is nineteen kilometres and the typical cost of travelling this distance is $2.50; the equivalent of several weeks’ savings for many poor people. Finally, and a major barrier in appropriate services being available, is the profitability or risk for financial institutions in investing in servicing the poorest. If these models are to be truly scalable, they must be profitable, or at least cost-neutral, for the financial institutions involved. At present, transaction costs in dealing with savings groups are high, and models rely on subsidies from donors. These barriers mean that for many people, financial services are only accessible through informal channels. While these can meet many needs, as described below, there is a critical need to develop an effective interface between the formal and informal sectors, to enable clients to move more easily into accessing services from formal financial institutions at the appropriate time. CARE has worked for more than two decades with rural and remote communities in Africa to support access to informal financial services such as savings, credit and insurance. Today CARE has over 3.5 million members of savings and loans groups in Sub-Saharan Africa, 70 per cent of whom are women. The village savings and loans groups offer women and men with low incomes the opportunity to strengthen their financial capabilities by accessing savings, credit and insurance. Based on evaluations of this experience, savings-led microfinance can be a critical first step towards financial inclusion for the poorest and most vulnerable people. Savings groups also provide a solid platform for financial literacy. Groups are designed to develop trust and confidence, as members move through the process of establishing and agreeing on their own terms and conditions for how they jointly save, loan and make repayments. Through this process, and with the support of mentoring and formal training, they learn the fundamental principles of financial literacy and, as a result, are then more collectively confident in accessing formal financial services. Over time, groups that mature require more advanced services that a single group cannot offer. CARE has therefore pioneered experiences where groups can collectively access formal banking services – always starting with savings first. CARE has also piloted different approaches to bridging the physical distance gap, for example: working with financial institutions to establish agent networks and collecting cash on behalf of the savings groups, alongside piloting other models such as shops and kiosks that provide the link to institutions for remote and rural communities. As part of CARE’s partnership with Orange and Equity Bank in Kenya, savings groups can arrange to have access to their savings accounts through Orange Money’s vast network of agents, in addition to mobile phone transactions through Equity’s mobile banking app. For this to happen responsibly, CARE has defined a number of key principles to facilitate the link between informal savings groups and formal financial institutions. This includes ensuring that groups are prepared before they are linked to formal institutions, through both financial literacy training and providing specific information about the institutions and services they will access. The linkage principles also include: linking groups and not individuals; only linking mature groups that are ready; focusing on demand rather than supply; protection of the core savings group principles; starting with savings; maintaining a conservative savings to credit ratio; and minimising the use of savings as collateral. Although initial pilots have proven effective, there is still more to be done in piloting new approaches and scaling up those existing effective approaches in order to achieve genuine reach. While the business case for the private sector to invest in this market segment is still being developed, CARE’s experience of collaboration with financial institutions shows positive signs of the market potential. CARE and Barclays’ Banking on Change partnership, an eleven-country partnership between Barclays, CARE and Plan International which aims to test ways to effectively link savings groups to formal banking, has reached 513,000 people, with each member saving on average $58 per year. If each of the 2.5 billion unbanked adults globally saved $58, this would represent a total of $145 billion annually in new savings, with significant potential to promote sustained and equitable growth. Representatives from Barclays have acknowledged that the partnership with CARE started as a largely philanthropic venture, but is now moving towards a core business stream. CARE’s partnership with Vision Finance Company (VFC) in Rwanda has also demonstrated that poor clients are credit-worthy, to the extent that ‘defaults have been so few as to lower VFC’s overall Portfolio at Risk.’ In fact, the partnership has provided enough business to make an increased number of bank branches financially viable. The next step is to expand and replicate such innovative partnership models to achieve scale, requiring investment from banks, governments, private sector actors, donors and NGOs alike. This will also require financial regulation that supports informal providers of financial services and reduces barriers to ‘graduation’ from the informal to formal financial service providers. National financial inclusion strategies should include commitment to and measures around access to informal financial services, and linkages between formal and informal services. Rwanda provides a positive example of recognising savings groups as a key plank in its national financial inclusion strategy, with the initial goal of extending access to village savings and loans associations (VSLAs) to one million people. This should provide a model for all governments, particularly those signed up to the Maya Declaration. National strategies should support the scaling up of informal savings groups and encourage exploration of innovative ways of expanding savings groups’ access to formal financial institutions. One such example is India’s introduction of a policy that mandates banks service savings groups. Financial regulations and policies should encourage innovation in the banking sector to reduce the burden of registration requirements that are so often a barrier for the poorest. Strategies should also ensure that the regulatory environment enables access for the poorest, whilst ensuring that financial inclusion is undertaken in a responsible way. Further investment is needed in new partnership models for inclusion and to scale up innovative models that are already proving effective. One such example includes support for informal savings groups as a key platform for linking the poorest to formal financial services, for example building on the CARE/Barclay’s partnership pilot model. CARE’s linkages principles provide a tested framework to ensure that this is undertaken in a responsible manner. Consumer protection needs to be a high priority, particularly when expanding financial access to the poorest and most vulnerable. Governments should pursue a range of measures to expand financial literacy as a critical form of consumer protection, including financial education in the national school curriculum and as part of social protection programs. They should ensure that consumers not only understand their rights but also have appropriate access to recourse, including through endorsement of the SMART campaign. The G20 has already demonstrated its interest in financial inclusion and its recognition of the role it can play in equitable economic growth. The 2012 leaders’ statement called for women and youth to gain access to financial services and support for innovative solutions to achieve that goal. This work provides a solid platform for the G20 to go further: to truly pursue the common good through evidence-based initiatives that can extend the benefits of financial inclusion measures to all, including the poorest. Sabina Curatolo has managed Oxfam Australia’s political engagement since August 2009 and leads Oxfam Australia’s engagement with the G20. Sabina has worked in international development for more than eleven years, including at the United Nations Food and Agriculture Organisation, AusAID, Office of the Parliamentary Secretary for International Development and as an independent evaluation consultant. Robin Davies is the Associate Director of the Development Policy Centre, Crawford School of Public Policy, Australian National University. Before joining the Centre, he worked for twenty years at the Australian Agency for International Development, including ten years as a member of its senior executive service. He served both in Australia and overseas. Robin was Australia’s representative on the G20 Development Working Group from its establishment in 2010 until late 2011. He played an active role in shaping the Seoul Development Consensus for Shared Growth and subsequent work on ‘growth with resilience’. He oversaw the development of a series of climate change initiatives in the period 2007 to 2010, and contributed to the design of the multilateral Climate Investment Funds. He has represented Australia on the OECD Development Assistance Committee, and managed Australia’s aid program in Indonesia from 2003 to 2006. Michelle Lettie is the Policy & Research Analyst for CARE Australia, working in collaboration across the global CARE confederation. Michelle has worked in international and community development for more than fifteen years, with a particular interest in gender and development. She has worked with CARE since 2005 and has experience across a diverse range of contexts from Southeast Asia through to the Palestinian territories, most recently with a focus on Papua New Guinea. Dr. Julia Newton-Howes became Chief Executive of CARE Australia in October 2007. As CEO she is focused on ensuring gender equality and women’s empowerment is central to CARE’s programs. She has emphasised the importance of measuring the impact of CARE’s work on improving systems to ensure effective use of funds and on growing the number of Australians who understand the importance of supporting women to overcome global poverty. Julia is on the Board of CARE International and is Vice President of the Australian Council for International Development (ACFID), the peak body for Australian non-government organisations working in overseas development. Julia joined CARE Australia from AusAID, where she was Assistant Director General with responsibilities for multilateral aid and aid to Africa. Julia’s career at AusAID included a posting to Vietnam as Counsellor (Development Cooperation) and a secondment as Adviser to Australia’s Executive Director to the World Bank, based in Washington, DC. Julia has a Ph.D. in Materials Science from London University and worked in scientific research for a number of years. Annmaree O’Keeffe AM is a Research Fellow at the Lowy Institute for International Policy. She is also a Research Associate with the ANU's Development Policy Centre. Previously with AusAID from 1986 to 2009, her various positions included Ambassador for HIV/AIDS and Deputy Director General. She has served as Australia’s Ambassador to Nepal and was Minister-Counsellor for Development Assistance in Papua New Guinea. Before joining AusAID, Annmaree worked for the International Committee of the Red Cross as their International Editor based initially in Bangkok and then Geneva. Annmaree is a founding board member of the Asia Pacific Business Coalition for AIDS and is on the advisory panel of the Pacific Friends of the Global Fund for AIDS, Tuberculosis, and Malaria. She is also a jury member for the University of Queensland’s annual International Communications and Change Award. She has a Masters in Asian Studies from Griffith University and an undergraduate degree from University of Queensland in journalism and economics. Steve Price-Thomas is Oxfam International's G20/BRICSAM Strategy Manager, and is currently based in Hanoi, Vietnam. He closely follows the G20, and attended the G20 Summits held in Los Cabos, Mexico (June 2012), Cannes, France (November 2011) and Seoul, South Korea (November 2010). From 2004 until mid-2010 Steve was Vietnam Country Director and East Asia Gender Lead for Oxfam Great Britain. He previously held a range of positions with other NGOs in Europe, Asia and the Pacific, and with the World Bank in both Vietnam and the USA. Queen Elizabeth II appointed Steve an OBE in the 2011 New Year Honours list, for services to development in Vietnam. He holds a Masters degree with Distinction from the London School of Economics and a First Class Honours degree from the University of Newcastle upon Tyne, UK. G20. Seoul development consensus for shared growth. Seoul, November 11-12 2010. Barry Carin. Development in the G20: white elephant or cornerstone? CIGI online July 17 2013: http://www.cigionline.org/publications/2013/7/development-g20-white-elephant-or-cornerstone. G20. Finance ministers and central bank governors' communique (Berlin). 1999. The G20 London Summit Leader's Statement. 2009. The G20 Toronto Summit Declaration. Toronto, 2010: http://www.g20.utoronto.ca/2010/to-communique.html. Kharas, Homi and Domenico Lombardi. The Group of Twenty: origins, prospects and challenges for global governance. Washington, DC, The Brookings Institution, 2012. Interview with the Director of the Department of International Financial Relations of the Ministry of Finance and the Russian Federation. Accountability issues of G20 activity in the year of the Russian presidency. Official website of Russia's G20 presidency, June 10 2013: http://en.g20.ria.ru/news/20130610/781417056.html. Carin. Development in the G20: white elephant or cornerstone? Robin Davies, Associate Director of the Development Policy Centre, Crawford School of Public Policy, Australian National University. He was formerly, as a senior public servant, Australia’s representative on the G20 Development Working Group in 2010 and 2011. Namely: (a) identifying gaps in global economic governance, (b) putting the spotlight on existing development issues and new innovative solutions, (c) knowledge sharing, (d) trust and consensus building among G20 countries, (e) building global norms and standards, and (f) improving policy coherence. See Dirk Willem te Velde. Accountability and effectiveness of the G20's role in promoting development. In Workshop on an accountability mechanism for G20 development commitments. Bali, 2012. No references are provided herein to G20 communiques, reports and press releases, as these are all readily accessible through the University of Toronto’s G20 Information Centre at http://www.g20.utoronto.ca. Kharas and Lombardi. The Group of Twenty: origins, prospects and challenges for global governance. Appendix Table A.1, pp 17-21). World Bank. Restoring and sustaining growth. Report prepared by the staff of the World Bank for the G20 Los Cabos Summit, 8 June 2012. Wonhyuk, Lim. The G20 and development. In Major issues and policy challenges for the G20 Cannes summit, edited by Center for International Development and Korea Development Institute. Seoul, Korea Development Institute, 2011. The Economic Community of West African States. Submitted to the G20 by the Multilateral Development Banks Working Group on Infrastructure in October 2011. That is, cooperation arrangements in which more advanced developing countries provide advice, based on their own experiences, to less advanced countries, with financing or other support from developed countries. Climate change financing is now the domain of a dedicated ‘study group’, separate from the Development Working Group. The same is true of long-term investment financing for growth and development from institutional sources, a topic to which Russia is according high priority. Clearly not everything related to the G20’s development agenda, broadly interpreted, is carried by or even visible to the Development Working Group. World Bank. Restoring and sustaining growth. There is no agreed definition of ‘vulnerable’ or ‘fragile’ as applied to countries. There are at least twenty-something such countries, judging by the fact that there are currently 23 countries that appear on both the World Bank and OECD lists of fragile and conflict-affected countries, as well as on the UN list of least-developed countries. Dr Susan Harris Rimmer is Director of Studies at the Asia-Pacific College of Diplomacy, ANU. Alexander, Heinrich Böll Stiftung Foundation; Robin Davies, ANU; and John Ruthrauff, Interaction. Carin, Barry and David Shorr. The G20 as a Lever for Progress. Policy Analysis Brief. Muscatine, The Stanley Foundation, 2013. See further Slaughter, Steven. Debating the international legitimacy of the G20: global policymaking and contemporary international society. Global Policy 4 (1) 2013, pp 43-52. For the best overview of the G20 as a global governance, see Andrew F. Cooper and Ramesh Thakur. The Group of Twenty (G20). London, Routledge, 2013. See also Kharas and Lombardi. The Group of Twenty: origins, prospects and challenges for global governance. Cooper and Thakur. The Group of Twenty (G20). p 108. My gratitude to John Ruthrauff, Interaction for these observations, based on a presentation to the Civil20 meeting in December 2012.
 te Velde. Accountability and effectiveness of the G20's role in promoting development. The principle of Policy Coherence for Development (PCD) has been formally adopted by the OECD and the European Union. ‘Beyond Aid’ issues include trade, migration, investment, environmental issues, security and technology. Forecasts on official development assistance (ODA). The Framework on Strong, Sustainable and Balance Growth (Growth Framework) was launched at the 2009 Pittsburgh (US) Summit. This ‘Growth Framework’ constitutes the matrix of policies within which 1) each G20 country makes commitments and to which each country is held accountable; and 2) G20 collective commitments are articulated and tracked. Both of these functions are monitored through the IMF’s Mutual Assessment Process that also charts different global scenarios in terms of growth and rebalancing given the (lack of) action by the G20’s member countries. The UNDP website states: ‘Economic growth will not reduce poverty, improve equality and produce jobs unless it is inclusive’. See further Harris Rimmer, Susan. Assessing the relevance of the international legal framework in claiming economic and social rights. In Human Rights and Social Policy: a comparative analysis of values and citizenship in OECD countries, edited by Ann Nevile. Cheltenham, Edward Elgar Publishing, 2010. United Nations. Report of the United Nations conference on sustainable development. Rio De Janeiro, 20-22 June 2012. G20. G20 Ministerial meeting on Development - Communiqué. Washington, DC, 2011. Cited by James Ensor, Presentation to civil society roundtable. ANU, April 2013. Davies, Robin. After the siesta: whither the G20's development agenda. Devpolicy Blog, 5 July 2012: http://devpolicy.org/after-the-siesta-whither-the-g20s-development-agenda/. Although the High-Level Panel plans were criticized as having little to say about the social or environment dimensions of mega-projects. See further Alexander, Nancy. Beyond the public eye: High-Level Panel on infrastructure to unveil its recommendations for G20 leaders. Heinrich Boll Stiftung the Green Political Foundation, 25 October 2011. Kharas and Lombardi. The Group of Twenty: origins, prospects and challenges for global governance..
 te Velde, Dirk Willem. The future of development at the G20: towards the St Petersburg development principles. 18 October 2012: http://www.odi.org.uk/opinion/6865-g20-economic-growth-st-petersburg-development-principles. See also Interaction. 2013 G20 summit recommendations. G20 Policy Paper. January 2013. For example Carin and Shorr. The G20 as a Lever for Progress. Civil 20. Civil 20 proposals for strong, sustainable, balanced and inclusive growth. Moscow, June 2013. See further Bhattacharya, Amar, Mattia Romani and Nicholas Stern. Infrastructure for development: meeting the challenge. Centre for Climate Change Economics and Policy, Grantham Research Institute on Climate Change and the Environment, June 2012. Callan, Margaret and Robin Davies. When business meets aid: analysing public-private partnerships for international development. Discussion Paper No. 28. Development Policy Centre, Crawford School of Public Policy, ANU College of Asia & the Pacific, April 2013. Heintz, James. Missing Women: the G20, gender equality and global economic governance. Washington, DC, Heinrich Boll Stiftung the Green Political Foundation, March 2013..
 Stavropoulou, Maria and Nicola Jones. Off the balance sheet: the imapct of the economic crisis on girls and young women: a review of the evidence. Overseas Development Institution, January 2013. Civil 20. Civil 20 proposals for strong, sustainable, balanced and inclusive growth. The High-Level Panel of Eminent Persons on the post-2015 development agenda. A new global partnership: eradicate poverty and transform economies through sustainable development. New York, United Nations, 2013. Annmaree O’Keeffe ,research fellow,Lowy Institute for International Policy. Kharas and Lombardi. The Group of Twenty: origins, prospects and challenges for global governance. G20. Finance ministers and central bank governors' communique (Berlin). ———. Finance Ministers' and Central Bank Governors' communique. New Delhi, 23 November 2002. Martinez-Diaz, Leonardo and Ngaire Woods. The G20 - the perils and opportunities of network governance for developing countries. Briefing paper. University of Oxford, Global economic governance programme, November 2009. Cali, Massimiliano et al. A development charter for the G-20. London, Overseas Development Institute, March 2009. Birdsall, Nancy. The crisis next time: US leadership at the Pittsburgh summit and beyond. Address to the Center for Global Development, 2009. G20. The G20 London Summit Leader's Statement. Kokotsis, Ella. The G20 Pittsburgh Summit Commitments. G-20 Information Centre 2009: http://www.g20.utoronto.ca/analysis/commitments-09-pittsburgh.html#g20framework. World Bank. G20 and global development. Report prepared by the staff of the World Bank for the G20 Growth Framework and Mutual Assessment Process, 26-27 June 2010. G20. The G-20 Toronto Summit Declaration. Vadera, Shriti. The G20 development agenda: How can it make a difference? ODI, 20 October 2010: http://www.odi.org.uk/events/2498-g20-development-agenda-can-make-difference#report. G20. Annex II to G20 Leader's communique: Multi-Year Action Plan on development. Seoul, 2010. Seoul development consensus for shared growth. Development Working Group. 2011 report of the Development Working Group - version post Paris meeting. 2011: http://www.boell.org/downloads/9-11_DWG_report_final_version_-_after_DWG_Paris_meeting.pdf. The ten DAC members, which are also represented in the G20, are Australia, Canada, European Union, France, Germany, Italy, Japan, Korea, United Kingdom and United States. Other members of the DAC are Austria, Belgium, Czech Republic, Denmark, Finland, Greece, Iceland, Ireland, Luxembourg, The Netherlands, New Zealand, Norway, Portugal, Spain, Sweden and Switzerland. Callaghan, Mike and Mark Thirlwell. Challenges facing the G20 in 2013. G20 Monitor. G20 Studies Centre, Lowy Institute for International Policy, December 2012; Davies. After the siesta: whither the G20's development agenda; te Velde. Accountability and effectiveness of the G20's role in promoting development. G20, Seoul development consensus for shared growth. Based on global GDP per capita in constant prices; World Bank Development Indicators Database (1970–2010). Andy Sumner, Global poverty and the 'new bottom billion': what if three-quarters of the world's poor live in middle-income countries? Working paper No. 349, Institute of Development Studies, 12 September 2010. Oxfam, Left behind by the G20? How inequality and environmental degradation threaten to exclude poor people from the benefits of economic growth, Oxfam Briefing Paper No. 157, 19 January 2012. Oxfam, Left behind by the G20? How inequality and environmental degradation threaten to exclude poor people from the benefits of economic growth. OECD, Action plan on base erosion and profit shifting, Paris, OECD Publishing, 2013. OECD, The IMF, UN and World Bank, Supporting the development of more effective tax systems, A report to the G-20 Development Working Group, 2011. Civil 20, Civil 20 proposals for strong, sustainable, balanced and inclusive growth. G20, G20 Ministerial meeting on Development - Communiqué. H.M. Queen Máxima of the Netherlands, Financial inclusion in post-2015 development, Bali, United Nations Secretary General's special advocate for inclusive finance for development, 26 March 2013. CARE International, Connecting the world's poorest people to the global economy: new models for linking informal savings groups to formal financial services, London, February 2013. H.M. Queen Máxima of the Netherlands, Financial inclusion in post-2015 development. Asli Demirguc-Kunt and Leora Klapper, Measuring financial inclusion: the global findex database, Policy Research Working Paper no. 6025, World Bank, 2012. CARE International, Connecting the world's poorest people to the global economy: new models for linking informal savings groups to formal financial services, p 32.